Traditionally, this has made sense because stocks have typically offered much higher returns over long periods. However, rising interest rates, high valuations, and other factors are currently converging to make bonds much more attractive than they’ve ever been2 — and there are lots of good reasons to invest in them. Interest rates are on the rise, and that trend is expected to continue for the foreseeable future. While this is bad news for consumers who carry debt — credit cards and other forms of debt will accrue interest charges faster — it is excellent news for people who own and invest in bonds. That is because the interest rates at which bonds provide returns are getting higher. Over extended periods of time, then, long-term bonds can provide excellent returns. Conventional wisdom dictates that you’ll get higher returns by investing in stocks than you would by investing in bonds. However, that all depends on how you look at the situation. In particular, returns may appear to be more consistently higher when you look at an abbreviated period of time versus a much longer one. For example, in the 1950s, the stock market was consistently delivering returns in the neighborhood of 16 percent. Yet if you flash forward to the 2000s, they were averaging closer to three percent. The volatility of the stock market is what can make investing in stocks so risky. While stocks have been delivering an average return of around 6.88 percent over the last 10 years or so, there are no guarantees of seeing your money grow at that rate. Should the economy suddenly dip toward recession, you could lose a lot of money. 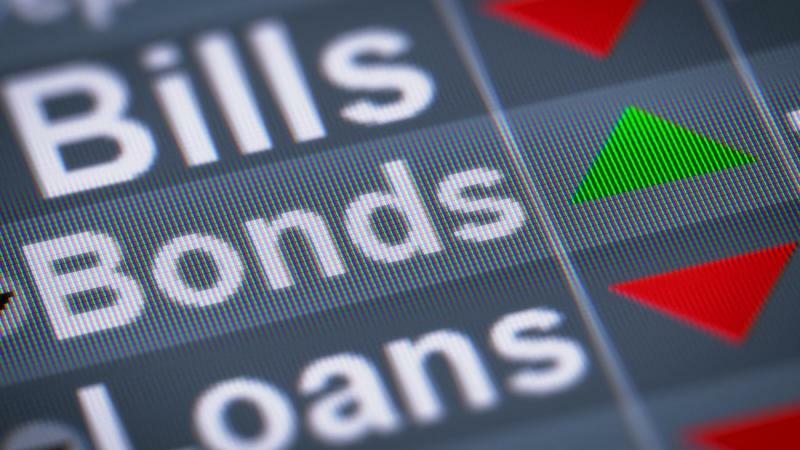 On the flip side, bonds typically deliver returns in the neighborhoods of five to six percent — and that is true regardless of what the economy may be doing.4 When interest rates start to climb like they are now, it creates the perfect storm for making bonds more worthwhile investments for many versus stocks. Unless you are willing to hire an investment advisor to assist you or devote copious amounts of time and energy in developing a stock investment strategy, you should seriously consider investing in bonds instead. When compared to stocks, they are truly no-muss, no-fuss investment vehicles. Investing in bonds only involves a single, one-time purchase. Once you have secured a bond, all that is left to do is to sit back and watch income come in. You don’t have to live in fear of the stock market suddenly coming apart at the seams — along with your hard-earned investments. Of course, many investors will still argue that bonds simply don’t deliver the kinds of yields that are needed to produce reliable income streams. That may be true of certain types of bonds, but high-yield bonds that average returns of around nine percent are available too. There are numerous types of bonds out there, from municipal bonds to government bonds to corporate bonds, and you can figure out which direction to go fairly easily with a little bit of independent research. While the returns still might be a bit lower than average stock returns, you don’t have to deal with the volatility and stress — and you can rest assured of receiving a consistent return no matter what happens with the economy. If you are ready to diversify your portfolio with something that will provide a nice hedge against standard stock investments, bonds are a worthwhile option to consider. From short-term bonds to long-term bonds, there are tons of options out there, and getting started is easy. You can purchase bonds directly from the U.S. Treasury through the TreasuryDirect website. Bonds may also be purchased from banks, brokers, and various dealers. To determine where to go for your bonds, start by doing research into which types of bonds are likely to mesh with your current investment strategy. After buying bonds, all that is left to do is to sit back and make money. Whether you choose to invest in bonds as a way of diversifying your existing portfolio or because you are just breaking into investing, you are sure to appreciate the low-stress levels that go along with them. Should interest rates continue to climb — which is looking increasingly likely — bonds will become only more attractive to investors of all kinds. By getting in on the action now, you can start generating stable income from bonds in no time. 1 CreditDonkey, Average Stock Market Return Will Surprise You 2 The Balance, Investing in Bonds 3 Forbes, Get Ready For A Big, Fast Rise In Interest Rates 4 MarketWatch, Do stocks or bonds offer the better value over the coming decade?